Which Heat Pump Size should You Get? Does heat pump sizes really matter? 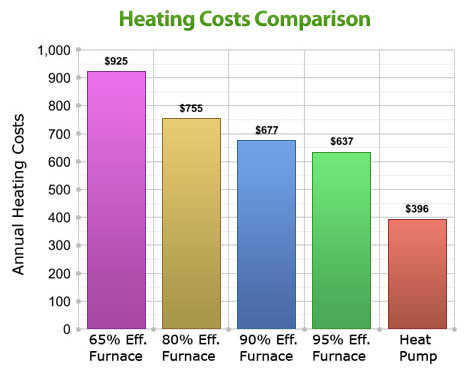 Many homeowners think they can save money by buying a smaller heat pump size or that “bigger is better”. How Are Heat Pumps Measured? By now you may have noticed that heat pumps are sized according to tons. Two, three or five tons are very common home heat pump sizes. But why do heat pumps sizes come in tons? A ton is a measure of cooling. Every ton of cooling is equal to 12,000 BTU/hour. A BTU is a “British Thermal Unit”. A BTU is the amount of heat or energy that it takes to change the temperature of a pound of water by one degree Fahrenheit. 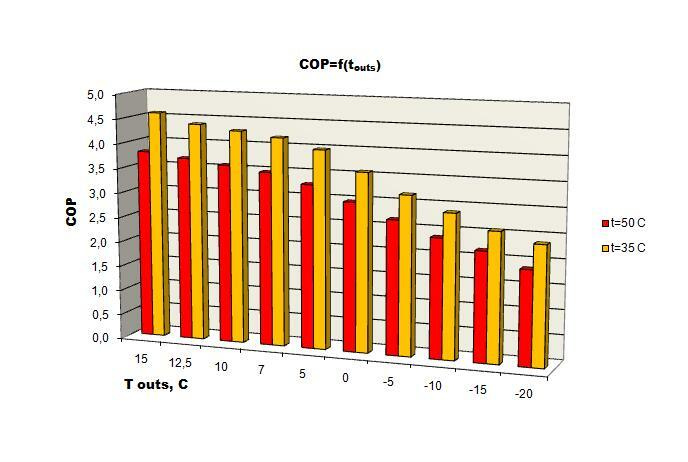 So a normal heat pump size of 3 tons produces 36,000 BTUh of cooling power. This means the size of heat pump in tons is just a short hand measurement of the capacity of the system as a whole. An old rule of thumb states that you need at heat pump size of at less 1 ton per 500 square feet of floor space. But this figure can vary wildly. Just because your neighbor has 2 ton heat pump doesn’t mean your house can use the same size. In order to get the correct and most energy efficient heat pump sizing, you must have a professional perform a heat gain & loss calculation for your property. Each heat pump installation is a custom project; no two are ever exactly the same. And it’s critical that you understand that other factors such as your home’s layout, shade from trees, how the house is situated on the property, the ductwork size and condition, as well as climate, will also play a major role in what heat pump size your home needs. Remember that in the US, all heat pump manufacturers are required to have all their models tested by independent sources. But all of these checks are done under ideal laboratory conditions using the best and most fine tuned model of equipment the company had available. So any efficiency rating or cooling size capacity should be taken with a grain of salt. Other factors that affect heat pump sizing are the amount of home insulation, the condition of your home’s caulking and the installation skills of your HVAC contractor. A well insulated home requires a smaller heat pump size than the same size house that has less insulation. The more insulation your home has in the ceiling (attic), floor and walls the less energy is used to cool and at a comfortable temperature. And the more insulation your house has, the more heat your home will retain and the smaller the size of heat pump you will need. How well sealed are your home? A big lost of both heating or cooling is through the many cracks, gaps, holes and crevices around floors, doors, windows, chimneys, light fixtures and air flow ducts. And just how much experience does your contractor have? Check not only the references of the HVAC company but also the license and experience of the individual contractor who comes to your home. Of course these are just a few of the factors that determine the correct heat pump size for your home. But hopefully this article has made you better prepared to make a good decision on the best heat pump size for your home.